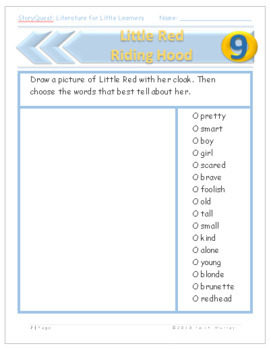 Learn about settings with this fun activity book featuring Little Red. 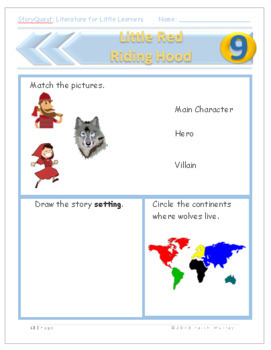 Includes story comprehension questions, discussion points, ethical interpretaton, worksheets and activities reviewing main character, heros, villains, sequencing, author, title, and problem/solution. Also includes a Making It Real section connecting concepts to real-life applications. Little Learners focuses on literary analysis, setting the stage for creative story writing in later grades. 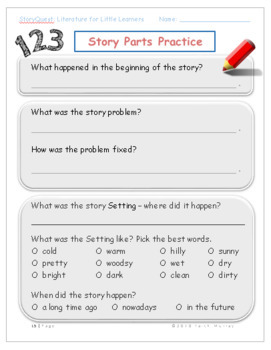 In Little Red, students expand upon existing story background, build a story map, describe key character details, and record emotional responses to story plot events (climactic arc). 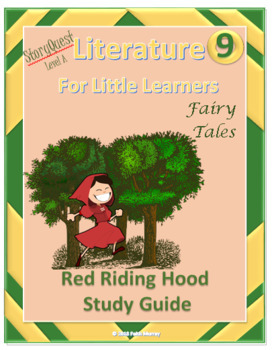 This study guide is ninth in the Little Learners first-grade series, but also works well as a standalone activity guide.